Automated Clearing House (ACH) is an electronic network for financial transactions in the United States. ACH processes large volumes of credit and debit transactions in batches. ACH credit transfers include direct deposit payroll and vendor payments. ACH direct debit transfers include consumer payments on insurance premiums, mortgage loans, and other kinds of bills. Debit transfers also include new applications such as the Point-of-Purchase(POP) check conversion pilot program sponsored by NACHA-The Electronic Payments Association. Both the government and the commercial sectors use ACH payments. Businesses are also increasingly using ACH to collect from customers online, rather than accepting credit or debit cards. (description from Wikipedia). For more information, go to NACHA. The Corporate, Municipal, and UITs (CMU) system provides all of its customers with RTTM - a single pipeline, a common processing platform, and a standardized message format for the U.S. fixed income markets. RTTM reduces execution and settlement risk as well as costs because it allows customers to maximize the volume of trades that match on trade date, and ensures that trades are locked in and ready for settlement, moments after they've been submitted. It also allows firms to fix any processing problems the same day when an error occurs, rather than waiting for the following morning, as in the previous batch processing system. RTTM is the matching mechanism for CMUs, however, clearance & settlement remains with the existing systems established at NSCC. Both NSCC and FICC are wholly-owned DTCC subsidiaries. FICC, which began operations on January 1, 2003, was created through the merger of the Government Securities Clearing Corporation (GSCC) and MBS Clearing Corporation (MBSCC). If you have a Bloomberg Data Services license, MIMICS can directly request and receive Security Header information, Prices, Corporation Actions, and other information from Bloomberg. The request schedule is configurable and can be automated on a schedule. MIMICS interfaces with various data providers to import information such as pricing, factor information, CUSIP information, and exchange rates. MIMICS is also partnered with Interactive Data to interface with their services, including DATAFEED. 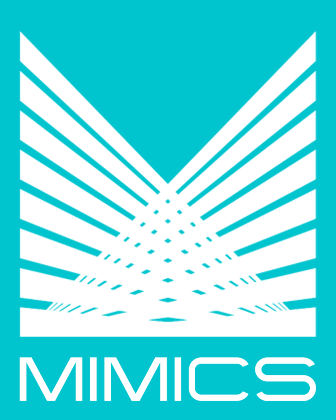 Although MIMICS offers a General Ledger software, MIMICS also interfaces with numerous third-party General Ledger systems to export accounting entries on a real-time or batch basis. MIMICS can also customize any type of interface for an hourly charge.